A tent, some necessary tools or equipment of an adventurous heart, that’s all you need to enjoy camping whether in the mountains or the woods. Camping is the most enjoyable and exciting experience that everyone should try. It lets you explore new places that you’ve never been to, learn different values, and sharpens your survival skills as well. After a long hike from the mountains or woods, you need some warm and nice place to snuggle, to be comfortable, and rest your tired body as well. Ensuring the safety, warmth, and coziness of your tent is very important; you don’t want to get hypothermia or to have a freezing place to sleep especially during winter or cold spring. So to help you with that, in this article I will show you some useful ways on how to heat your tent. 2.Use an excellent quality sleeping bag. 3. Choose the best Sleeping Pads. 4. Provide Hot Water bottles. 7. Crafting DIY Tent Heaters. Sleeping can vary for different people, some sleep warm, others sleep cold. The comfort from using gears may also vary from different factors such as gender, age, body fat, and fitness. The simplest way to heat a tent is using your body heat. However, it may not greatly affect the warmth of your whole tent but trapping enough heat can decrease the freezing coldness. It is also advisable to bring enough layers to prevent you from catching hypothermia. 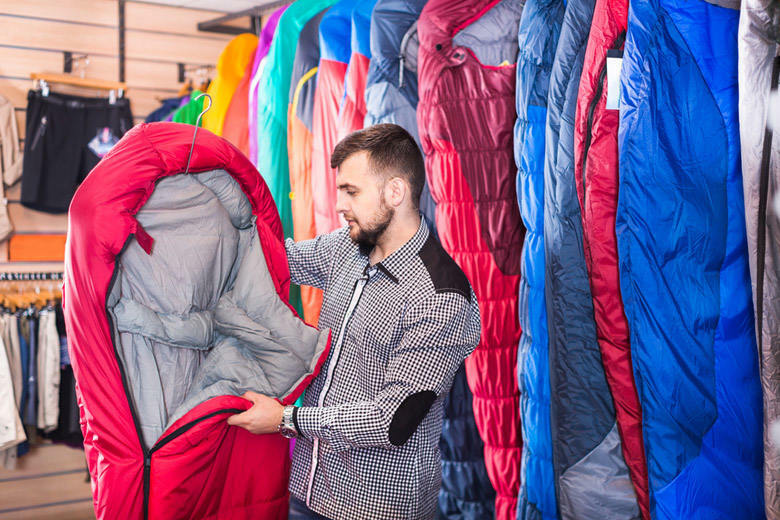 If you are new to camping, experienced campers will tell you to choose the best sleeping bags to purchase to keep your body temperature warm and protect you from evening chills. Sleeping bags must keep you comfortable and warm while sleeping, so choosing an excellent sleeping bag is very important. Check the Temperature rating. Some sleeping bags are designed to keep you warm in certain temperature, for example, if the sleeping bag is rated for 5 degrees Celsius, it must be able to keep you warm when the mercury level reaches 5 degrees. It is important to consider the environment when choosing the right sleeping bag’s temperature rating. Roominess and weight. A good sleeping bag must be weight and roominess convenient. Check the insulation type. Sleeping bag fill has two types, the down and synthetic. Down includes lightweight, easy to compress, and great for evening chills and dry conditions. While Synthetic is non-allergenic, easy to dry and insulates when wet. They both work by minimizing your body heat. Choose the best features. Choose a sleeping bag that offers essential features such as types of zippers, draft collars, and styles. 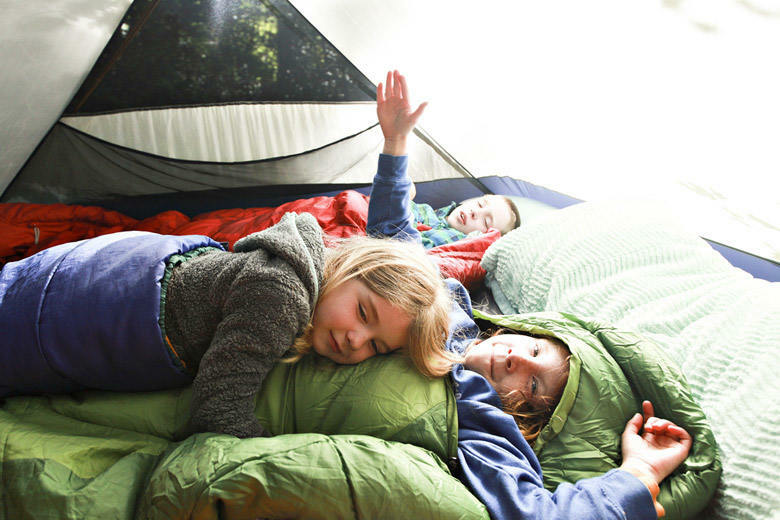 Insulated Sleeping pads or mats, like sleeping bags, also provide comfort and keep your body warm during camping. It is a good idea to invest in expensive sleeping pads for the best features like proper insulation and if you know you’re camping in a cold environment. Closed cell foam pads. This type of sleeping pads traps the cold air from the ground within the foam, thanks to its close cell feature. Self-inflating pads. It absorbs air when the valve is open which makes the foam to expand. Air-only pads. It basically means in order to expand the pad, you need to manually use a foot pump or your mouth. This is the cheapest and very economical way to keep your tent warm. By just simply pouring hot water into a bottle, it will keep you warm. Place the hot water bottle in the coldest area of your tent. Here’s a video on how to create a simple hot water bottle. Yes, Rocks. Using rocks for heating up your tent as well, rocks! It is also one of the easiest ways to keep your tent warm. How to do it. Find a rock weighing 5-10 pounds. Put the rocks into your campfire for about 45 minutes to an hour. Carefully pull away from the rocks and let it cool. Wrap up the rocks with your thermal blankets and put them at the foot of your sleeping bag. Here’s an instructional video on how keep your tent warm using rocks. There are many types of heaters that use electricity and oil fuel, they provide the best and easy way to keep your tent warm and comfy. But first, How to choose the best tent heaters? Size and Weight. Choose the best tent heater with convenient size and weight, this will make you to easily transport the equipment during hiking. Fuel. 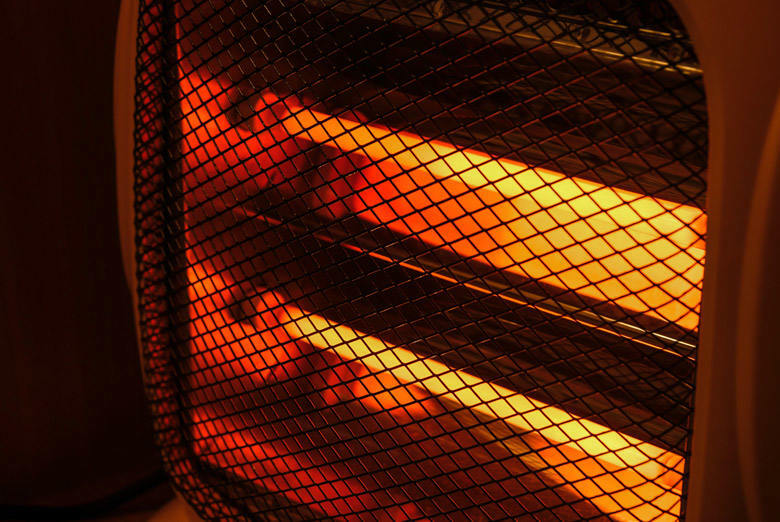 Always choose the heater with economical and efficient use of fuels such as gas, petrol, diesel, and oil. And now, you know about the proper ways on how to choose the best tent heater, I will help you to choose the best and suitable tent heater and also guide you for your purchasing decision, let’s talk about the different types of tent heater. There are many types of tent heater that comes with different features. Oil filled radiators are a great equipment for heating a tent, however, there are many cons on using this such as it will be easy to transport mainly because of its weight and size, takes a lot of time to heat up the whole tent and as the name implies, you need to bring extra oil fuel in order for it to function. As the name implies, these are the types of heater that you put on the floor of your tent. It insulates not just for your body but also for the whole tent space. It is safe to use because it doesn’t require an oil, gas or fire-related tools to work. If you have access to electricity, then electric tent heaters are the best choice for you. By simply plugging it into an electric socket and pushing a button, it will provide you a nice and warm tent. Electric tent heaters are easy and convenient to use as they provide many essential features. A unique capability that halogen heaters provide is that it can be used as night light and heater at the same time. It is convenient and easy to transport because of its lightweight components. Gas heaters are effective to keep your tent well-heated, but it can be dangerous when misused. It may explode and worst may end up emitting carbon monoxide that will endanger the people in the tent. These type of heaters are portable and easy to carry. They also have the capabilities to heat up your whole tent without using any oil or fire-related items, so you have to worry for any accidents that may occur, however, it is advisable to turn it off before bedtime to ensure nothing will melt due to the equipment’s heat. Crafting your own tent heaters will not only save you time but it will also prevent you from purchasing expensive tent heater and eventually saves you money. Here is some examples of DIY tent heaters that are best for your camping experience. Step 1: Look for 4 tea lights and place them on a flat surface or in a fireproof container. Consider the air passage and ventilation. Step 2: Find a ​small clay flower pot and place it upside down over the candles and cover any holes to make sure that no heat can pass through it. Step 3: Find a large clay pot and place it over the smaller one, remember to not to cover holes from the bottom of the large clay pot. Step 4: Viola, you will now enjoy a well-heated tent! Step 1: Take a small clay pot. Step 2: Create a hole to pass the chain and clip hanger of the lantern. Step 3: The clay pot should be on the top of the lantern. Step 4: Hang the pot and the lantern as usual, this will allow the pot to block the heat to emerge or radiate outward. Step 5: Done! You have now a lantern plus a tent heater! There are many ways to keep your tent well-heated, it is an important thing to consider before planning a hiking or camping, this will ensure you to have a safe, enjoyable, and essential camping experience. Now that you have the knowledge about these important tips and tricks on how to heat up your tent, you will never have to worry for freezing nights that makes you uneasy and may ruin your whole camping experience. So what are you waiting for? Grab your camping tools and have a safe camping! Did you enjoy this article? What is your favoriteway of heating your tent? We would like to hear it from you. Just comment below.